Foundation Coffee House, in partnership with Origin Coffee Roasters have launched our bespoke coffee which is exclusive to our locations in Manchester’s Northern Quarter and our Whitworth Street site. La Huella is the current coffee we have selected for our house bean and has been our house espresso since November 2018. The La Huella farm is special to FDN as it sits within a larger farm called Los Altos; the coffee Los Altos was our first ever of single origin espresso as a house coffee, and was proudly served by the staff of Foundation as our house espresso for over a year. This coffee truly brings Foundation back to its roots and helps us all respect coffee and it’s origins even more than ever. Los Altos was a crowd pleaser; everyone who drank it would enjoy the luxurious flavours of caramel, berries and milk chocolate that came from brewing this lovely coffee on espresso, batch brew and all the other brew options we have in house. La Huella, originating from the same farm almost reflects a direct correlation of how much we have grown as a business at the same time as our coffee offering has. La Huella has tasting notes of mixed berries, caramel and melon with a medium, syrupy body and long, sweet finish. This is a naturally processed coffee of the red bourbon varietal originating from Nicaragua. The family who grow this spectacular coffee are called the Meirsch Family. Origin and The Meirsch’s have been dealing with each other for quite some time and have a great bond, which helps us deliver such great coffee to the people of Manchester. Orign visit the farmers or mill representatives at least once a year – in El Salvador, Nicaragua, Colombia, Brazil. They ask questions and listen to the farmers, workers and their families. Their partners are committed to environmentally and socially sustainable practices that they see with their own eyes when they visit each year. Red Bourbon is one of the most common coffee varietals in the world. It usually has a tasting profile of red fruit with a slight nuttiness. When Red Bourbon is grown in optimum conditions those notes increase in clarity and sweetness, hence the caramel and melon taste notes that would come through when we brew the exquisite coffee that is La Huella. Choosing a bespoke coffee has become a ritual amongst the team, that we all truly look forward to partaking in. We receive multiple coffees from Origin; cup them, brew them on different methods and drink them every morning for at least a week while we familiarise ourselves with the variations of taste notes and mouth feel this coffee gives. Once we are happy with the coffee, our amazing design team send off the new lables, and Origin create the well recognised taste note cards to bring together the perfect experience for all of our loyal customers. 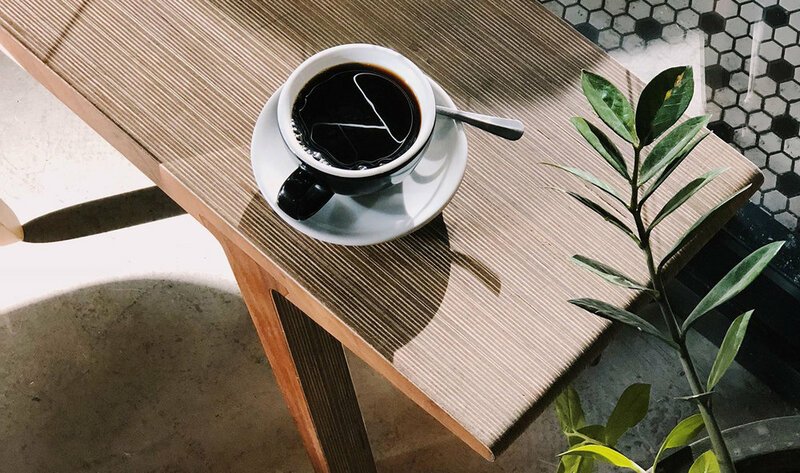 As La Huella has become a barista favourite at Foundation we look forward to cupping our potential next coffee, where we will be looking for similar tasting notes with a lovely gentle acidity that you have come to expect from a good cup of FDN coffee. Keep your eyes peeled for our next release. You can now purchase La Huella via our website.